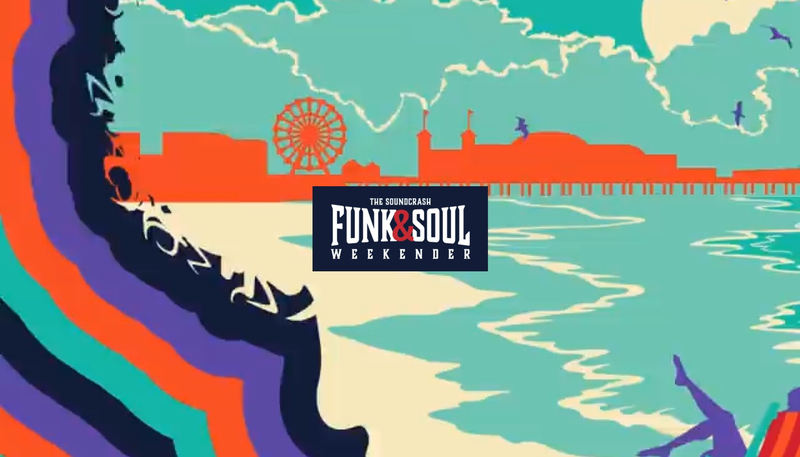 Brighton and Hove News » Soundcrash Funk and Soul Weekender 2019 – On Brighton Beach! Soundcrash Funk and Soul Weekender 2019 – On Brighton Beach! As if May in our fair city wasn’t full enough already – The Soundcrash Funk and Soul Weekender will be exploding onto Brighton beach this spring. After two sold-out years, the festival has moved sites to the seaside. The line-up includes Alice Russell, Gilles Peterson, Maribou State, Norman Jay and The Pharcyde. Also headlining are legendary funk DJ and Radio 6 Music presenter Craig Charles, multi- instrumentalist, vocalist and producer Jordan Rakei, and Kamasi Washington, dubbed the ‘figurehead of the new jazz revival’ by The Guardian. The festival, which has been called a ‘full-on celebration of all shades of the funky spectrum’, showcases the best not just of its eponymous genres, but also their branches in Big Brass sounds, Hip hop beats, Future Soul, Tropical, Afro-beat, World, Disco, House, and everything in-between. It promises a jam-packed timetable of extra activities including record fairs, visual screenings and explorative talks; as well as wellness, dance classes and the original disco yoga experience. And if that’s not enough, there’s talk of ‘secret parties’ for ticket holders too, and the best in soul food and craft beer. Yet another reason to embrace Brighton as the hottest city to experience in May! Tickets from £45 (day) – £99 (weekend) On-sale now www.funkandsoulweekender.com or for sale in person at Resident Records, Brighton.